The Savannah Music Festival (SMF) is dedicated to presenting worldclass celebrations of the musical arts by creating productions that stimulate arts education, foster economic growth and unite artists and audiences in Savannah. The 29th festival season runs from March 29th through April 14th, 2018. The 29th season of the Savannah Music Festival features the most ambitious classical music programming to date, extensive world music offerings and acclaimed jazz, Americana and folk music artists, in addition to theatrical productions and films. 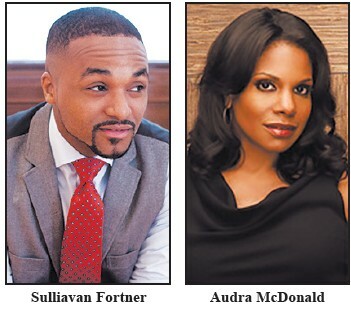 The lineup features a variety of artists including Sulliavan Fortner and Audra McDonald. Sullivan Fortner, a native of New Orleans, was praised as a virtuoso jazz pianist well before he finished high school. He won the 2015 Cole Porter Fellowship from the American Pianists Association, as well as the 2016 Lincoln Center Award for Emerging Artists, and has spent recent years playing with jazz artists as varied as Cécile McLorin Salvant, Fred Hersch and Roy Hargrove, among many others. This solo performance—one of six appearances in his debut season at SMF—highlights Sullivan Fortner’s musical versatility and knowledge of jazz piano across the ages. Audra McDonald is unparalleled in the breadth and versatility of her artistry as both a singer and an actress. The winner of a record-breaking six Tony Awards, two Grammy Awards and an Emmy Award, she was named one of Time magazine’s 100 most influential people of 2015 and received a 2015 National Medal of Arts from President Barack Obama. Raised in Fresno, California, the Juilliard-trained soprano is equally at home on Broadway and opera stages as she is in roles on film and television. This is her second SMF appearance, following a Trustees Theater performance from a decade ago. The festival will conclude with an all-day festival finale at Trustees’ Garden, a multi-stage continuous presentation of live music! Visit the Savannah Music Festival website at www.savannahmusicfestival.org 912.525.5050 for more information on the lineup, location and tickets.